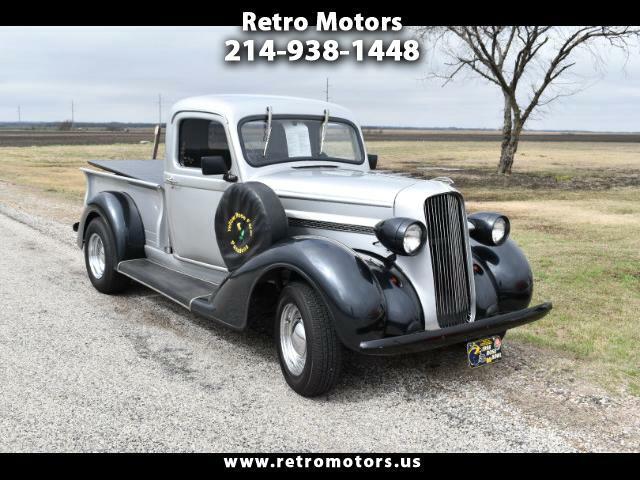 This 1937 Plymouth PT-50 Pickup has been rebuilt with nice up-grades. It is powered by a 198ci 6-cylinder engine and 3-speed manual transmission. It features a wood bed, two-tone silver and dark gray paint, gray interior, and Ford rear end. This beautiful and rare truck was themed for the Rose Bowl and Rose Bowl Parade and has its Deluxe Plymouth ship hood ornament and a storage drawer under the seat.